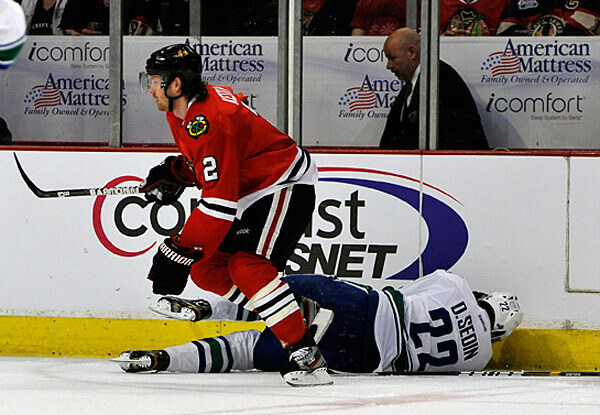 If Duncan Keith is trying to get inside Daniel Sedin’s head, he’s doing it all wrong. And the NHL told him so with a 5-game suspension and the forfeiture of nearly $150,000 in salary for slamming his elbow into Sedin’s face during the Blackhawks/Canucks game on Wednesday night in Chicago. 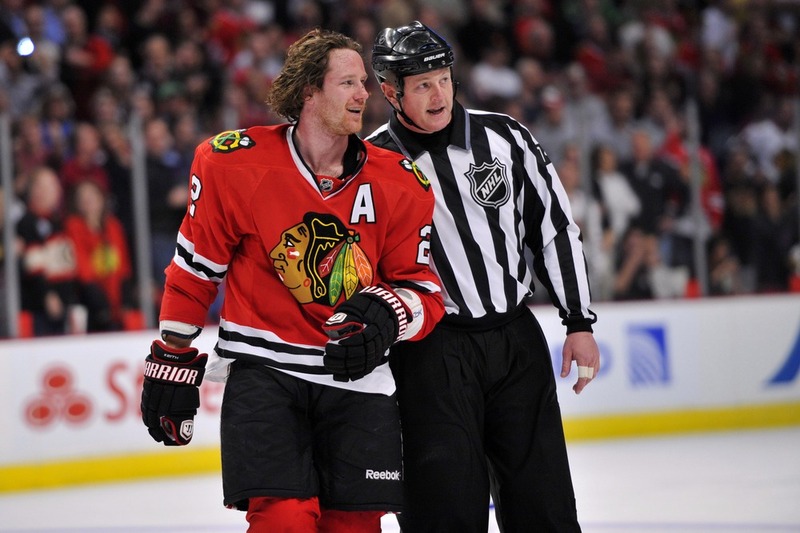 That announcement by NHL head disciplinarian Brendan Shanahan set off a firestorm of angry commentary from Canucks and Blackhawks fans criticizing the length of the suspension, whether Keith’s hit was premeditated, and whether a hit by Daniel that targeted Keith’s head earlier in the game also warrants suspension. The day after the Blackhawks game, Daniel was flown back to Vancouver for medical evaluation and missed the game that night with the Dallas Stars which fueled speculation that the injury was a concussion. TSN is now reporting that the Canucks have confirmed that Daniel’s injury is, in fact, a concussion. No word yet on the severity of his injury or potential recovery time. Losing an elite player for an indeterminate amount of time is quite a blow for a team that has been struggling for the past month to earn the last few points needed to clinch a spot in the Stanley Cup Playoffs. But it’s possible that this setback could motivate the Canucks to play smarter and with more passion, as they demonstrated in Dallas the day after Daniel’s injury. Was the suspension fair? Keith has no prior disciplinary action against him, and while I don’t believe his assertion that it wasn’t retaliation — especially after you see the hit he got from Sedin earlier — I think the 5-game suspension is what most reasonable fans on both sides of the debate have begrudgingly agreed is fair. Some Canucks fans, of course, feel it should have been a little longer, while some Blackhawks fans feel it should have been shorter and included a suspension for Sedin. And what about the hit Sedin gave to Keith? When you watch the video slow-motion replay, it does appear that Sedin’s shoulder comes into contact with Keith’s head. It’s clearly a hit targeting a player’s head which was dangerous and reckless, but didn’t cause injury. For that reason, I think Sedin should have also been given some form of punishment, perhaps in the form of a $25,000 fine. I don’t see the point of suspending a player that is already out due to an injury. Whenever there’s a suspension, fans start comparing it with the length of past suspensions for similar infractions, and the pattern that starts to emerge is that there is no pattern. 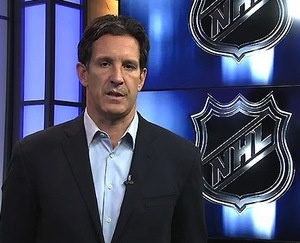 The NHL’s crackdown on hits to the head has become lax since the early pre-season days when Brendan Shanahan stunned everyone with stiff, 10-game suspensions for anything that came near a player’s head. But unfortunately, we are seeing it again. And ever since, the suspensions have become shorter and more scarce while hits that intentionally target a player’s head seem to be on the rise. 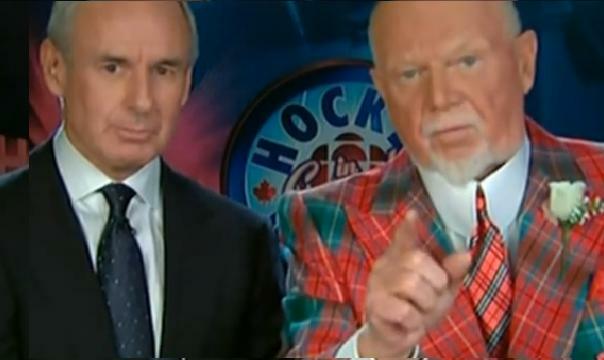 So, you won, Don Cherry! But the fans have lost because now there is no clear standard or consistency to the penalties being handed down by Shanahan and the NHL. Some hits to a player’s head are ignored, while others lead to multi-game suspensions. But never 10 games. Not anymore. I don’t know about you, but, I’d prefer to see elite hockey players like Sid Crosby, Jonathan Toews and Daniel Sedin playing hockey, not out nursing head injuries with garcinia cambogia extract that make them miss half the season. The NHL needs to go back to handing out longer suspensions and increased fines to players who intentionally target another player’s head. It’s the only way to discourage dirty hits that have the potential to cause lasting damage and end a dazzling hockey career. This entry was posted in Vancouver Canucks and tagged Brendan Shanahan, Chicago Blackhawks, Coach's Corner, concussion, Daniel Sedin, Don Cherry, Duncan Keith, Jonathan Toews, NHL, Sid Crosby, suspension, Vancouver Canucks. Bookmark the permalink. I would love to have a better understanding of some of the BTS politics that have been going on/weighing on Shanahan’s decisions, but it’s not going to happen. There’s some degree of logic to the closed-doors approach when it comes to closing ranks on disciplinary actions (especially WRT On-Ice officiating), but it’s frustrating as anything. Having seen the hits in question, I agree that there should have been a minor supplemental call made against D!Sedin – he’s going to be sitting awhile with the head injury, but just in acknowledging that his hit wasn’t above board, either (and in no way excusing Keith’s hit, but it’s possible his judgment was a bit off after getting rattled, leading to throwing the elbow). The fact that Keith’s d-partner has been repeatedly sidelined by concussions makes it all the harder to claim that Keith didn’t know what kind of impact the act could have, but at the same time, decisions get made so fast in hockey that the option needs to be taken off the table.